An American celebrated Holiday every year with fireworks, cookouts and family fun. 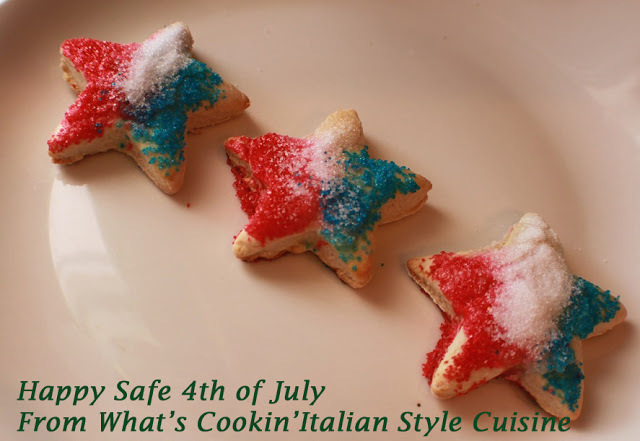 A table looks so festive in red, white and blue what better way to give tribute to our USA celebration than to add some colorful dessert and these quick homemade star loft or butter sugar cookies to brighten up your tables. Here are two recipes you can use. The loft cookies are not so sweet and stay soft. The sugar cookies are more buttery tasting and crisper. Either one your guests and family will love. 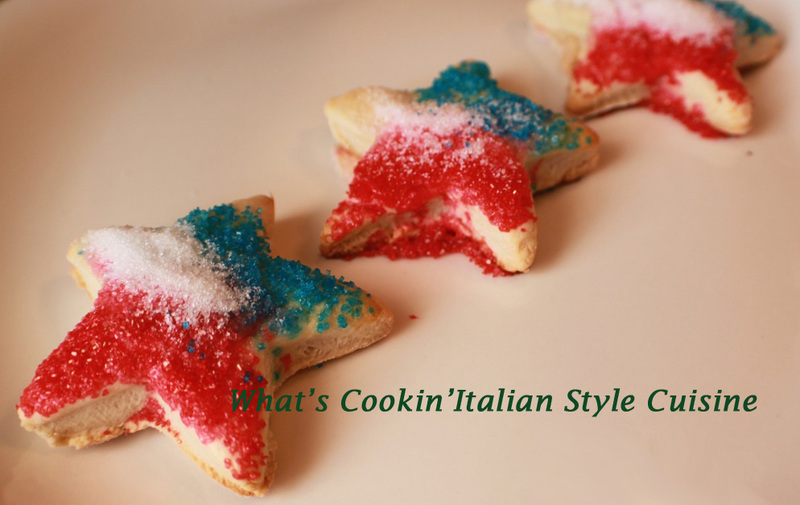 Note: the stars are brushed with egg whites before cooking then sprinkled with red, white and blue colored sugars. Bake on a parchment lined cookie sheet in a 350 degree preheated oven until the bottoms are slightly browned around 12 minutes. Cool and enjoy! See recipe links above for other frosting alternatives.